Supplies: Papers and sentiment - Michelle Underwood; Snowman - Hero Arts; Glitter pen, sewing machine. 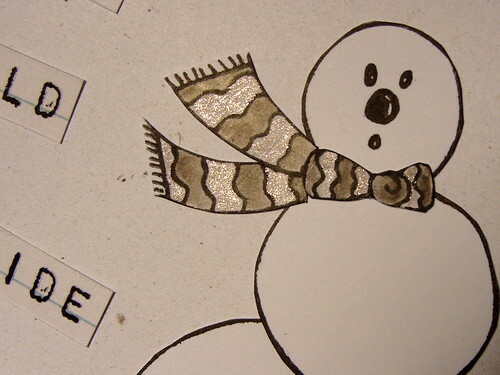 I added a little glitter to his scarf with a glitter pen. 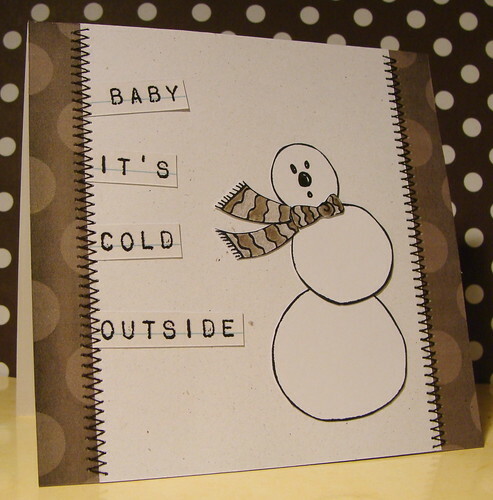 Hi Lucy!I love your card!I really like the polka dots and the sparkle on the scarf!The snowman is so cute! Such a cute snowman Lucy. Love your different colour scheme. This is so cute! And it's very fitting for what I see out my front window too! love those sentiment, too!! such a lovely card! I love the brown polka dots, too! Such a fun card! Très jolie cette carte tout simple. J'adore ! Adorable Lucy! Another great card! His expression is priceless--and so is this card! Love it! Love the BROWNS!! I don't love orange but.. It's Hero Arts at Caardvarks!!! Hooray!!! Lucy's Cards - Challenge 1 Winners!